This color pattern is known as Black Winged Bronze. . 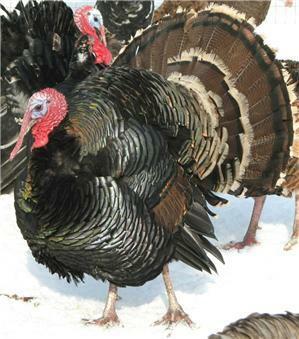 Preferred weights for mature birds are toms 36 lbs. and hens 20 lbs. For more info. go to the main BWB page.